Sorry, Bear Grylls fans. 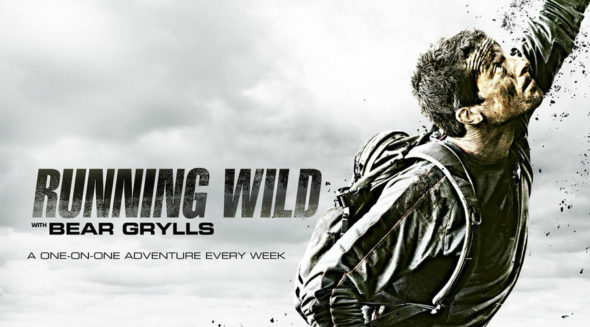 Today, NBC announced season three of Running Wild with Bear Grylls will premiere in August instead of July. The new season will feature Grylls and guests Courteney Cox, Julianne Hough, Vanessa Hudgens, Nick Jonas, and Lindsey Vonn traveling to exotic locales like Africa and Corsica. Season three debuts with a two-night premiere, beginning August 1st at 10 p.m. ET/PT and continuing on August 2nd at 10 p.m. ET/PT. UNIVERSAL CITY, Calif. – July 5, 2016 – “Running Wild with Bear Grylls” is returning to take A-list celebrities on adventures of a lifetime when the series returns Monday, Aug. 1 (10-11p.m. ET) with actress and Emmy Award-winning choreographer Julianne Hough and Tuesday, Aug. 2 with triple-platinum recording artist and actor Nick Jonas (10-11p.m. ET). The series will follow summer hits “American Ninja Warrior” on Monday and “America’s Got Talent” on Tuesday. Also joining the renowned survivalist for season three are Hall of Fame basketball player Shaquille O’Neal; SAG Award-winning actress Courteney Cox; stage and screen actress and singer Vanessa Hudgens; NFL Super Bowl champion Marshawn Lynch; World Cup skiing champion and Olympic gold medalist Lindsey Vonn and more. In each of the hourlong episodes, Grylls will join the entertainment and sports stars into the most remote and pristine locations in the U.S. and around the world for the 48-hour journey of a lifetime. This season the series will take viewers from the remote African Savannah and mountain passes of the Sierra Nevada, to the wilds of Ireland and rocky shores of Corsica. The intrepid cast members will face their deepest fears and tackle everything from wild animals to rock repelling as they journey through some of the world’s most unforgiving wildernesses. Pushing their minds and bodies to the limit to complete their journey, they will experience the excitement of being dropped into uncharted territory and tackling the wilderness head-on, which will be daunting and draining, but also very empowering. Last summer, “Running Wild with Bear Grylls” averaged a 1.4 rating, 4 share in adults 18-49 and 4.0 million viewers overall according to Nielsen Media Research. In 18-49, “Running Wild” remained undefeated through the summer in the Monday 10-11 p.m. ET time period versus all regular ABC and CBS competition. What do you think? Are you a fan of Bear Grylls? Will you watch the new season of Running Wild? More about: NBC TV shows: canceled or renewed?, Running Wild with Bear Grylls, Running Wild with Bear Grylls: canceled or renewed? We LOVE this show! There is so much trash on TV right now. Bear Grylls is a Super Hero! We are sorry to have it disappear from our TV List (August 2018). What is happening? Yes I want to know the answer too!! It seemed to be the only one that was advertised that wasnt shown!! I like Vanessa and she was shown on the trailer, so WHY???? I DVR’d the episodes and I thought that I missed Vanessa’s episode, but yes -> I thought it was strange how they never showed her episode and they’ve made no mention on whether they would air it at another time..
Why is’nt the Vanessa Hudgens episode of Running with..not being shown?